Grew Up... in Australia before coming to Barden University for her college education. She introduces herself as the former “best singer in Tasmania...with teeth.” According to Fat Amy, she used to wrestle crocodiles and dingos in Australia – simultaneously. Living… with her close-knit collegiate a capella group. 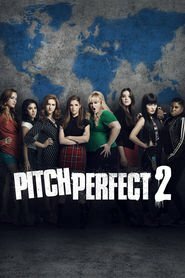 Fat Amy affectionately refers to her fellow singers as “flat butts” and “turd burgers.” She rooms with Beca Mitchell, occasionally pilfering a twenty-dollar bill from her roommate’s purse in exchange for giving some surprisingly sound life advice. At least, Fat Amy claims it’s an exchange; she’s actually been taking Beca’s money for a while. Profession... full-time university student and Barden Bella. In an unofficial capacity, Fat Amy provides crass but accurate commentary to relieve tension whenever the members of her group get a little too dramatic – which is often. She’s always willing to pitch-slap some sense into people. Interests… singing, mermaid dancing, and horizontal running (it’s a real workout). Just don’t put her down for cardio. Relationship Status… involved with Bumper Allen, former leader of the all-male Treblemakers a capella group. Bumper admiringly describes Fat Amy as “probably the grossest human being I have ever met.” The breakdown of their courtship is about 40% rivalry, 40% sexual tension, 15% egotism, and 5% refusing to talk about it. But is it true love or just antagonistic flirting? We’ll have to wait and see. Challenge... redeeming the Barden Bellas. The ‘90s called, and they want their set list back. The Bellas haven’t been relevant in the ICAA championships for a while. 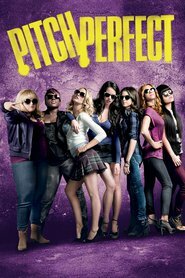 They could use some of Beca’s original ideas and Fat Amy’s audacious energy to liven up performances. Fat Amy is a decent singer, if not quite as good as she thinks, and a truly dynamic performer. Fat Amy's popularity ranking on CharacTour is #49 out of 5,000+ characters. See our top-ranked characters and read their profiles.